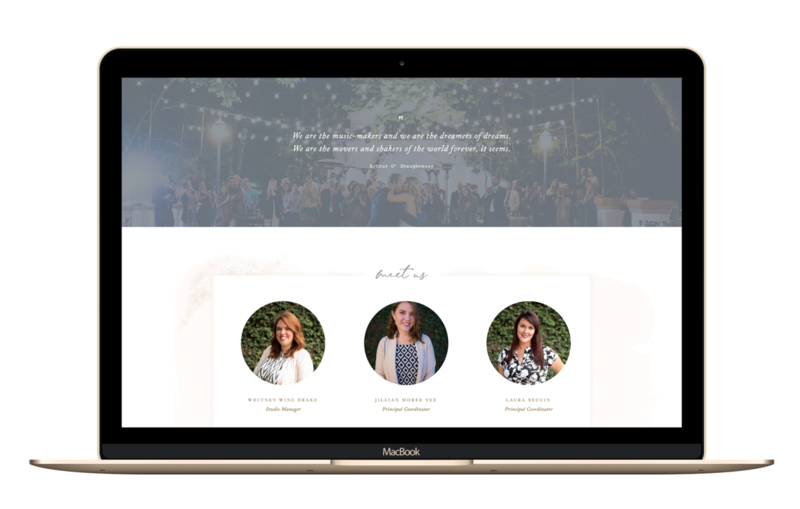 You focus on your clients’ styles and make their event vision come to life. 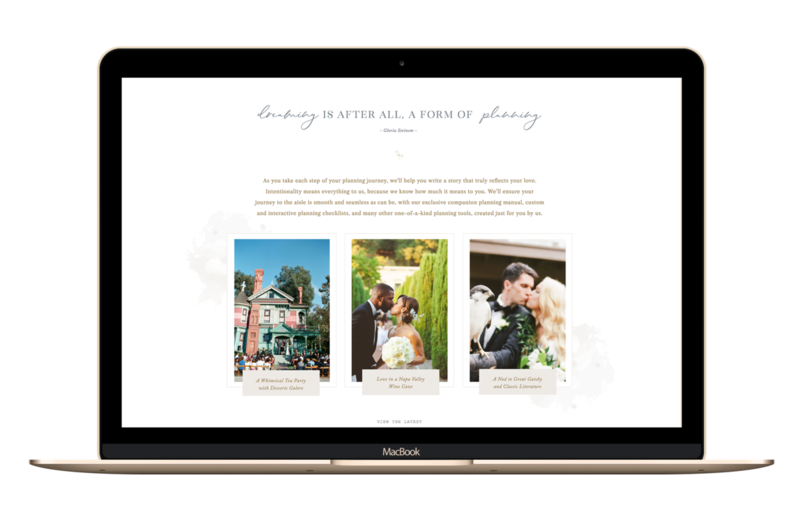 Your favorite types of weddings are intimate gatherings, outside under the stars and twinkle lights, with natural elements and a hint of French countryside elegance. Glamorous but friendly, naturally beautiful brides with dashing grooms who aren’t afraid to get dolled up in their best gown and tuxedo. The bride appreciates old Hollywood glamour mixed with European romance and a beautiful pair of heels. 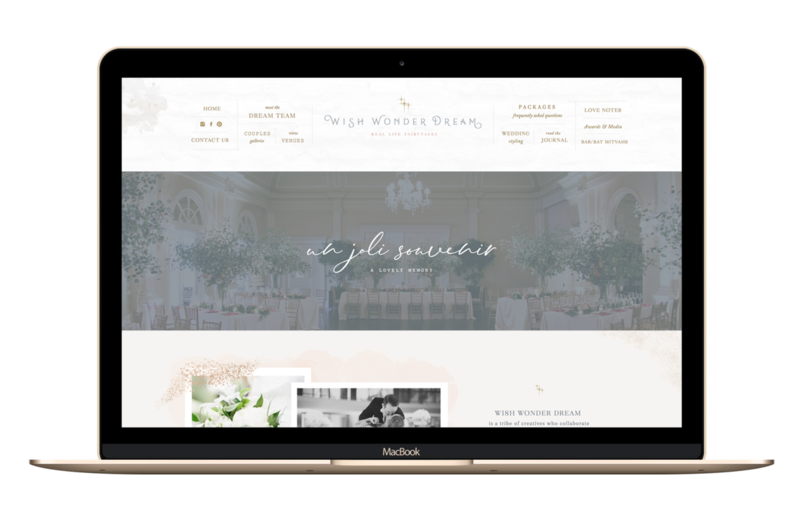 A dreamy and professional, upscale brand and website to attract high end clients looking for a team to help plan their perfect event. 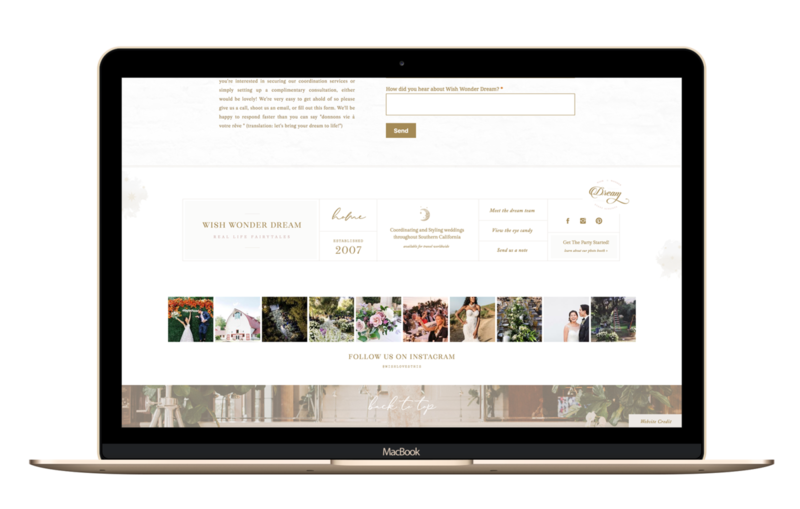 The design will showcase a curated, romantic, stylized portfolio of the best images and focus on how personalized the team makes the experience. Emily from Seaside Creative is an absolute DREAM! I don't even know where to begin this testimonial. 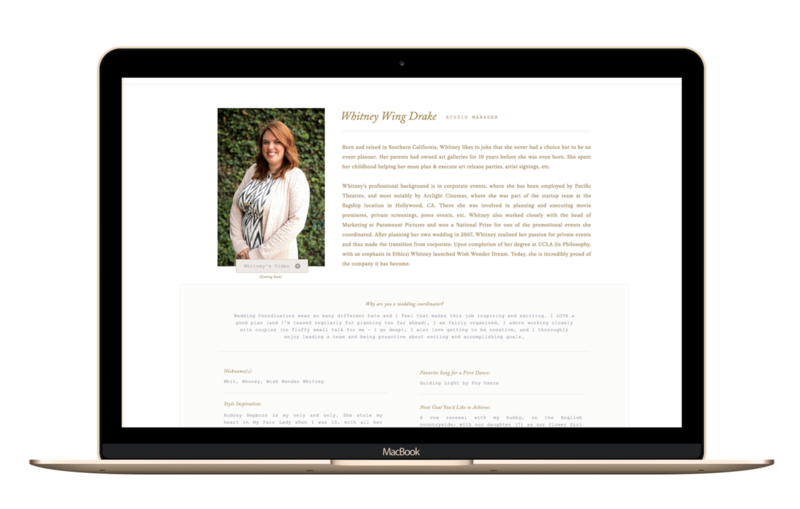 As soon as I came across her website and portfolio, I knew she was the one to redesign our website. 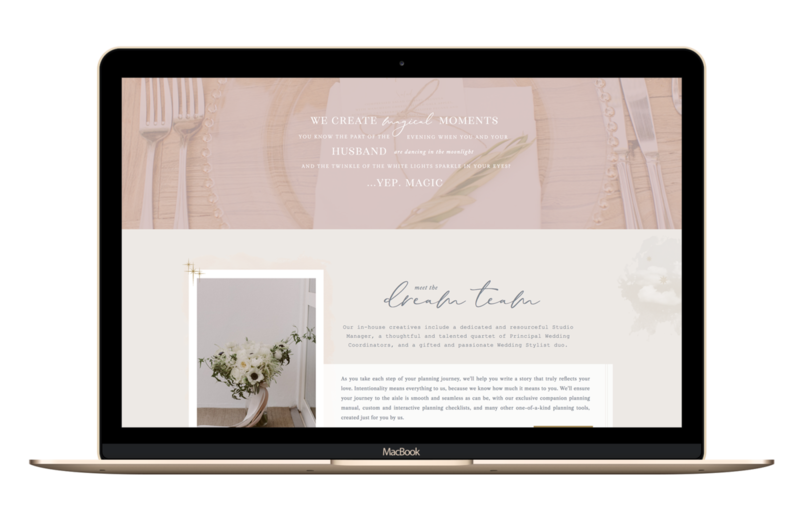 I wanted something classy, fresh, professional, user-friendly, and stylish. I also wanted a splash of trendiness but overall, a timeless and classic look. I had a blast in the preliminary planning stages, collecting content to share with her. 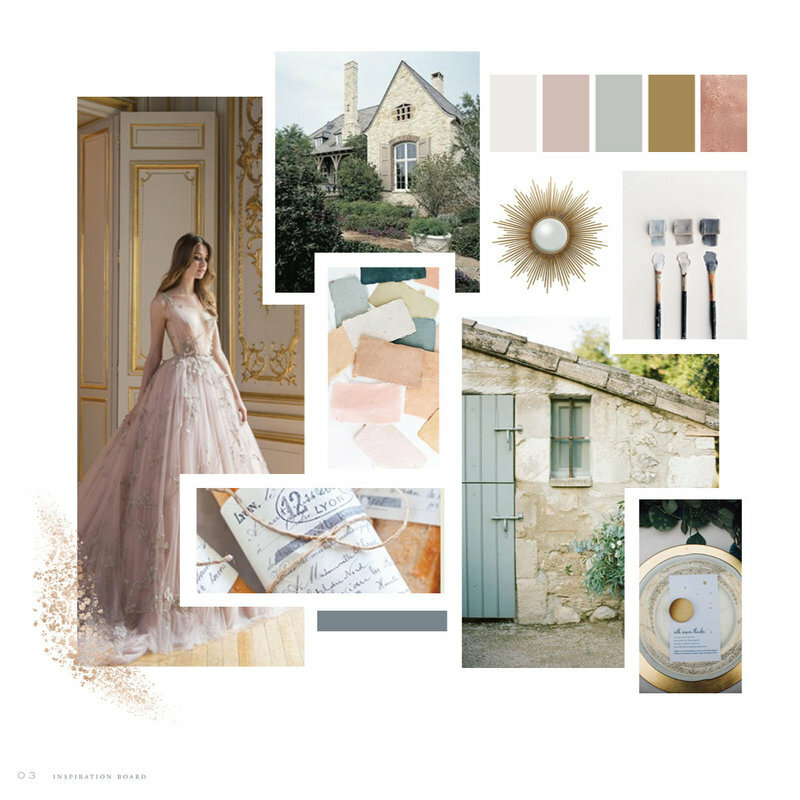 She'd essentially asked me to paint a picture of what I wanted to create, and how this new website would best represent my brand and speak specifically to my target demographic. Half the time, I was so wrapped up in the various options that I couldn't even decipher what I wanted any more. But Emily deciphered it perfectly! There was no back-and-forth with revisions; every time she gave me something I was like "YES!!!!" And that is literally something I've never experienced before (after 12 years in business). She nailed it the first time, every time. One of my favorite aspects of any creative collaboration is that beautiful moment when you find an artist who truly 'gets' you, and is so perfect at her job that she just understands what you're trying to say, even when you don't. That is Emily. 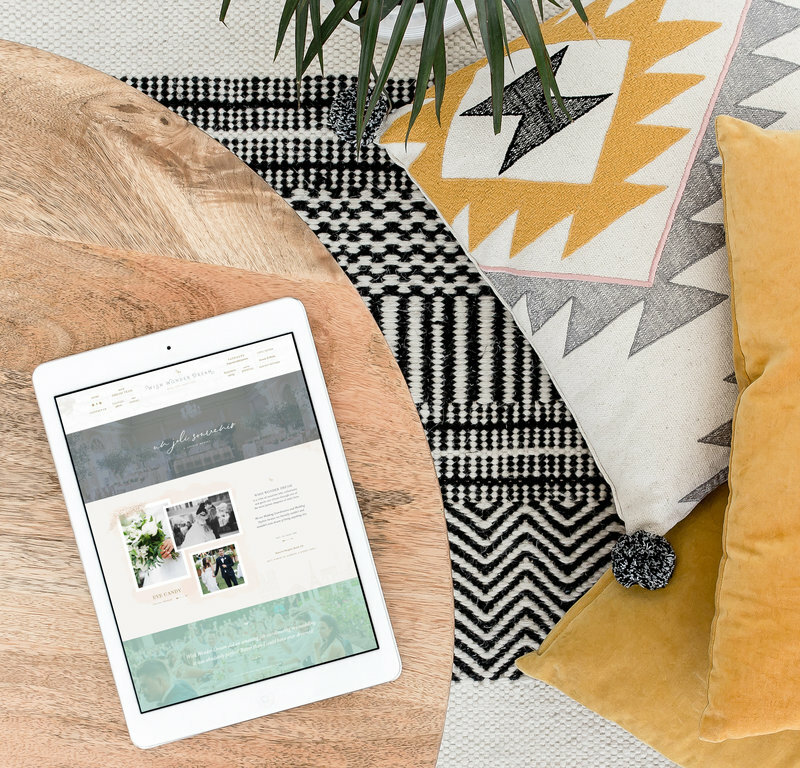 She did a beautiful job of merging art with function and the outcome was a website that was not only aesthetically pleasing but also easy and intuitive to navigate. She was also very intentional about using special words and key terms that were specifically tailored to my industry and the type of clientele I catered to. Oh, and Emily was also prompt to respond to emails and was always very friendly. Thank you Emily; I'm so fortunate to have found you!